With Father's Day coming up as well as Troy's birthday, I have been thinking about what to get him. In a way, the guy has everything. There is nothing that he truly needs but of course, there are things that he/we want. I thought about it for awhile what are some of the things that Troy would love for a gift and this is what I came up with (with some guidance from him as well!). If your guy is anything like mine, he loves to grill! When the weather gets warmer, we love firing up the grill a few times per week to make all different kinds of meals. We just bought a new stainless steel grill and I am so excited about it. Our other one was old and the grate rusted and broke. It was time for a new one and we couldn't be happier with our choice. A grill would make a great gift for the guy in your life if he loves to cook. Troy and I both want new outdoor furniture but haven't bit the bullet quite yet. Different hardware stores have the nicest outdoor furniture and I think that I would be considered wife-of-the-year if I furnished our patio with a new set. To go along with the grill, it is so helpful to have awesome grill tools to use when you grill. My mom just got us a set of three silicone covered tongs that are safe for grilling and they are super helpful for flipping food and not burning yourself. It is no secret that I go to bed a lot earlier than Troy and after I go to bed, he likes watching a show or playing video games. Sometimes for a gift, he asks for different video games and likes subscribing to a video game monthly subscription service so that he can try different ones out. This may not be for everyone but Troy is the king of bow ties. He wears one every single Tuesday to work- coined "Bow Tie Tuesday" and wears one to most nice events that we go to. He loves them for gifts and now that we have a son, it is fun to get them matching ones. We love having bonfires in our yard and Troy always starts and mans the fire. If the man in your life doesn't have a fire pit, I definitely recommend them. We love our new Sole treadmill that we bought at the beginning of January after our old one broke. Troy loves to run on it when the weather is bad. 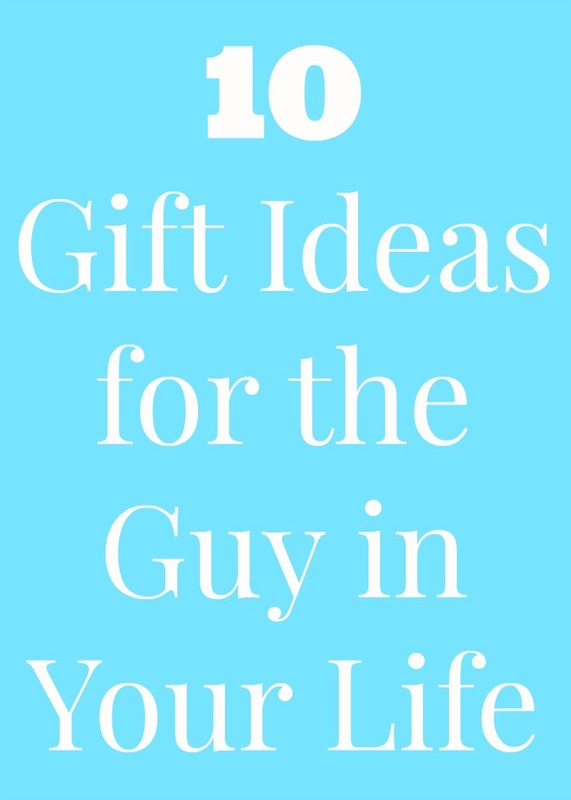 He loves getting workout clothes, running shoes or other running type products for gifts. It is always fun to get a gift card to your favorite restaurant for a gift. Troy loves creole style food and I have gotten him a gift card there in the past which he enjoyed. Troy loves computer things (clearly he is the electronic guy in the family- not me) and loves cool huge flash drives, hard drives, etc. Troy is totally a car guy- before he was a teacher, he worked on cars for almost 10 years. When anyone in the family has a car issue, Troy is the go-to guy. Therefore, nice garage essentials make the perfect gift for him. The garage essentials from MYCHANIC for your car make the perfect Father's Day gift or gift for the man in your life. They are multi-function garage essentials including ones that can stick, hook and stand. This is a sponsored post written by me on behalf of MYCHANIC.